- CR2032 battery included. Maximum battery life of 2 years. Sim compreendo , ele somente monitora a humidade...mas no app do celular ele mostra a faixa de frequência do ambiente ? Mesmo que o ambiente (no caso a caixa umidora) trabalhe com humidades bem acima do que os bovedas da daddario utilizados nas guitarras e violões? I am already using this system with one classic and am pleased to be able to get the discount so I can order another for my second. I call this humidification system "Guitar Humidification for the Brain Dead and the Tech Oriented." No kidding, this is the best thing I have come across to humidify. 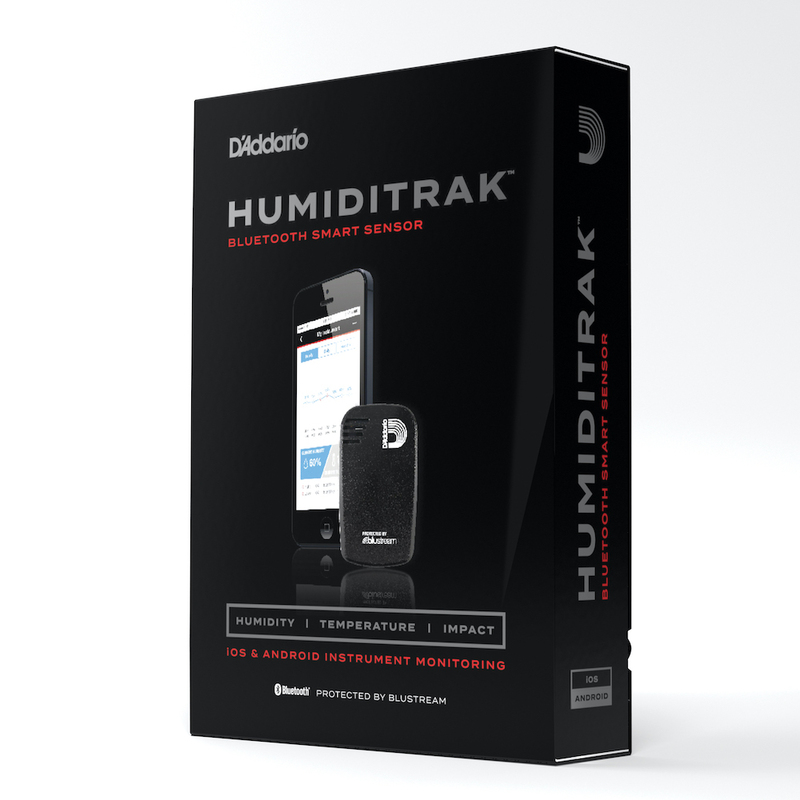 In addition to the tech aspect (you can check humidity, temperature, and impact stats on your phone whenever you want as long as you are in Bluetooth range) and the App's capacity to send warnings to you, it is practically maintenance free. I cannot comment on how long the humidipacks last, have not had the system long enough. The App loaded flawlessly (iPhone 6) and the monitor connected flawlessly. The system I am already using is holding the humidity in the classic's case at 50%. The one thing I can say that is negative is getting the humidipacks into the sound hold device. You need to put two in, then roll the cloth sleeve over a rod and snap the rod into the holder that goes between the D and G strings. It was quite hard for me to get the rod in the holder; presumably it may be easier as the plastic stretches? Also, the opening to the cloth sleeve for the sound hole is raw--not stitched, unfinished, and therefore subject to ravelling. This is a design flaw. The headstock envelope is much better constructed. So, excellent tech, not so excellent quality control on the mechanical aspects. Not enough for me to downgrade it, though. Looking forward to getting a second system! Q: Consigo utilizar em uma caixa humidora de charutos? Consigo inserir no aplicativo a faixa de umidade a ser controlada ou e' fixa para cada instrumento ? Este é um sensor apenas para monitoramento. Não controla a umidade. Eu acredito que funcionaria em um humidor. Q: Is this for guitar only, or can I use this for my violin, too? This can be used on any musical instrument. Could even be used in a humidor!